Your dog is special, so make sure it gets the love, attention, and TRAINING it needs to be happy and fulfilled. There are some trainers out there that do not believe dogs are pack animals and they build their training around that philosophy. This training is designed with the understanding that dogs are pack animals. In a pack there is only one leader and it can be a human. Once we bring a dog or puppy into our home we are asking them to live and adapt to our human pack. I believe these dogs deserve to be taught the foundations of life with us. Much like raising a child, they need a fair chance to understand the rules and how to live within them. This approach teaches people how to get their dog to see them as the leader. Once a dog has a leader that he/she can trust to be clear, fair and consistent, he/she will give in to that leadership and will be happier and more balanced for it. Without the proper leadership dogs do what dogs are born to do chew, bark, dig, nip, jump up etc… In the worst case scenario, the dog takes over the leadership role and serious problem behaviors may develop. As they mature, around 15-24 months, certain breeds can become dangerous and uncontrollable. The earlier the training is started the better, however it is never too late to get going with training. Learning how to communicate with a dog in a way it understands opens the door to not only training a dog, but being able to enhance or suppress certain behaviors. The most fulfilling training experience is one that is done not to train a dog to follow commands like come, sit and stay, but rather done with the goal of developing a relationship with a dog. Training is about building a relationship with a living, breathing, thinking animal. Once a owner can do that, they can take their dog anywhere and have good control of their dog and its behavior. There are no shortcuts and the time needs to be put in on a consistent basis. Maybe you learned how to play an instrument when you were a kid, can you still play? If so, it is because you kept up on it. I believe that effective training should be designed to extend beyond the class and into everyday life. What good is training if the dog is only reliable at the training classes or show ring? My desire is that people provide consistency with their dog and take this training and incorporate it into their day to day life and that the benefits last the lifetime of the dog. During my time in Tacoma I also continued to extensively research dog training approaches, dog training schools, observed military dog training, police K-9 unit training and soon realized that the program that Ron Pace, of Canyon Crest K-9 Training Center, developed was the most effective, no nonsense training approach out there and it is available to the average everyday dog owner. He has developed a program that combines traditional dog training techniques with an emphasis on using the leash & collar to show the dog direction and verbal and physical praise to encourage and motivate dog behavior. I came to appreciate what an ordinary person like me could do with a dog and what a well trained dog can contribute to a family and community. Also, I came to appreciate what my dogs, and many other’s like them, can provide in the way of safety and security for a home when well trained. This is why I continue to teach using the Pace Method of Dog Training. "The Pace Method is simply teaching you to understand how your dog thinks, learns and communicates by helping you understand the psychology of your dog. This technique is a 40 yr. time tested obedience course with an one one individualized approach. This course is designed to teach you, your dog's owner, to be a leader. By understanding your dog, you will learn how to re-direct your dog's focus to you. We teach people to be assertive, patient and consistent when applying our positive training techniques. The Pace Method teaches you how to communicate to your dog in a timely and meaningful way using a leash, collar, your voice, and your body language to show your dog what you want it to start doing, stop doing or continue doing. Our effective leash and collar technique is done with a very gentle tug and release of the leash. We reward your dog with verbal and physical praise for their positive behavior. Once the training foundation is laid it is very important to be consistent on a day to day basis so you do not confuse your dog. By being consistent you will establish trust and understanding with your dog." Crossroads Dog Training offers professional dog training services to people whose dogs are a truly loved member of the family. My primary goal is to teach people how to train their own dogs so that they can enjoy living with a well trained dog. As a professional Dog Trainer/Instructor, I provide private and group instruction to clients with dogs of ALL AGES, ALL BREEDS and ALL PROBLEMS. I help people with good dogs that could be better. And, have helped many people who were at a real crossroads with their dog, providing them with what they need to keep a dog they may be thinking of getting rid of due to severe aggression problems. It is not unusual to have any number of clients at my facility that have traveled from Wenatchee, Leavenworth, Manson, Chelan, Coulee City, Richland etc... Some have driven 180 miles round trip to attend their private lessons. Because this training works, I am no longer a secret. Without a doubt, it is a commitment of time and money. It is my hope that you will feel it was well worth the effort and not regret the extra time and expense you put in to have a well-trained dog. As an owner, you need instructional training so that you can develop a rewarding relationship with your dog. This is the difference between hiring a dog trainer and hiring Cara Putnam, a Professional Dog Trainer/Instructor that specializes in instructing YOU how to train your own dog. Whether you just got a new puppy, or you have an older dog that you worry is past the point of no return, rest assured that training your companion is possible. Your dog is more than just a pet. It is a beloved member of the family that deserves specialized attention so that it can lead a fulfilling life. You would not expect your child to understand algebra without first taking some educational classes, and in many ways a dog is no different. Dog obedience training will require an investment on your part, in both time and money, but when it is completed you will immediately see the benefits of having a well-trained dog that understands what you expect at all times. While there are a number of dog training schools that make grand promises, when it comes to dog training there is no substitute for hard work, dedication, and perseverance. Wondering if Cara can help with your breed of dog? Chihuahua, German Shepherd, Tibetan Mastiff, Havanese, German Pincher, Golden Retriever, Labrador Retriever, Great Dane, Boxer, French Mastiff, OE Mastiff, Field Spaniel, Boston Terrier, American Staffordshire Terrier, Fox Terrier, Yorkshire Terrier, German Shorthair Pointer, Rottweiler...Cara has experience with over 85 different breed of dogs. AND, this training method and process works for them all. Many people seek out dog training schools for help with aggressive pets, and are told that the problem can not be fixed. This is almost always incorrect. Success with any dog simply requires perseverance, understanding, and specialized dog training classes that address the idiosyncrasies of that particular breed, and the personality of the individual pet. Don't give up until you've talked with Cara a Professional Dog Trainer/Instructor with over 10,000 hrs in dog training instruction with more than 85 different breeds of dogs and over 700 people and their furry friends. Crossroads Dog obedience training classes are different because Cara Putnam will first work with you and your dog through a series of private lessons, and only when these lessons are complete will she encourage you to join the group dog training classes. This is because Cara believes a proper foundation must be laid before the distractions of other dogs and people should be introduced. At times, people come to a crossroads with their dog, wondering if they can reverse bad behavior or aggressiveness via a dog training school before being forced to make a difficult decision. If this sounds familiar, then it is time to take control of the situation and help your dog via obedience training. Cara has assisted dog owners with breeds considered "un-helpable" with resounding success. From small to large breeds, and from puppies to older companions, a well trained dog is a happier member of the family. 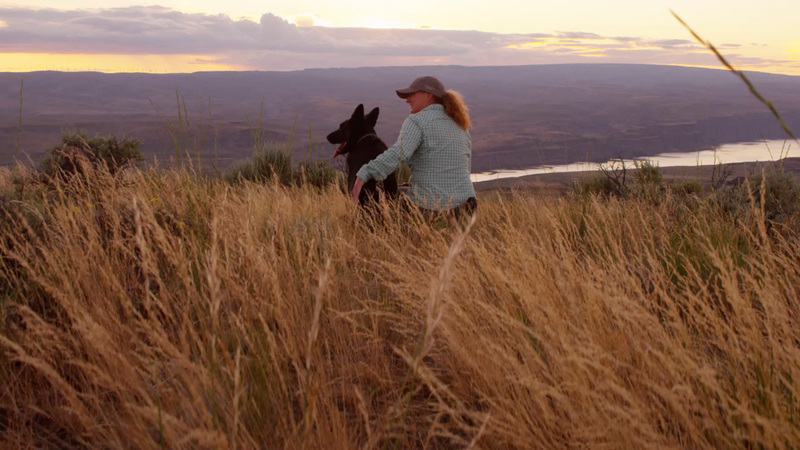 Crossroads may be located in Central Washington, but people from all over the state have foregone the convenience of local dog training schools to take advantage of Cara's unmatched reputation. If you would like more information about dog obedience training or you have a dog with special needs and are willing to go the extra mile to make them a happier dog, call us today at 509-670-8386.